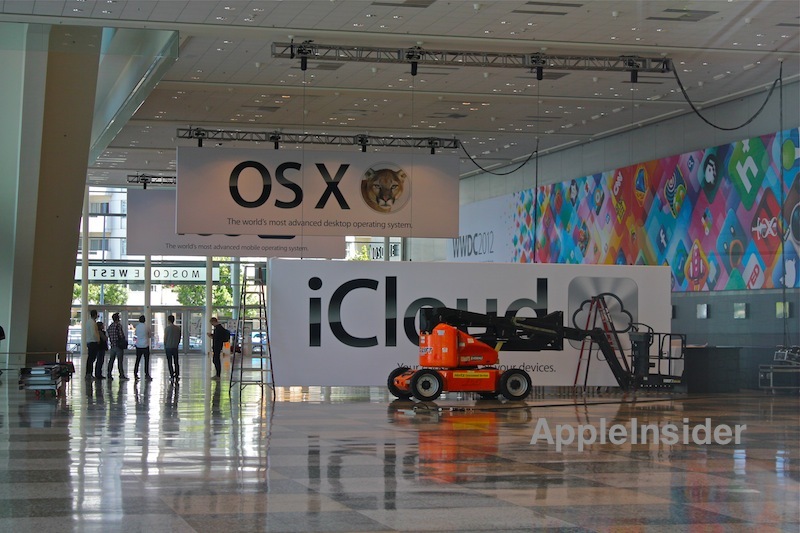 Apple have been installing a number of promotional banners at the Moscone Centre in advance of this week’s World Wide Developer Conference (WWDC), indicating that iOS 6, OS X Mountain Lion and iCloud are set to feature heavily at this year’s conference. 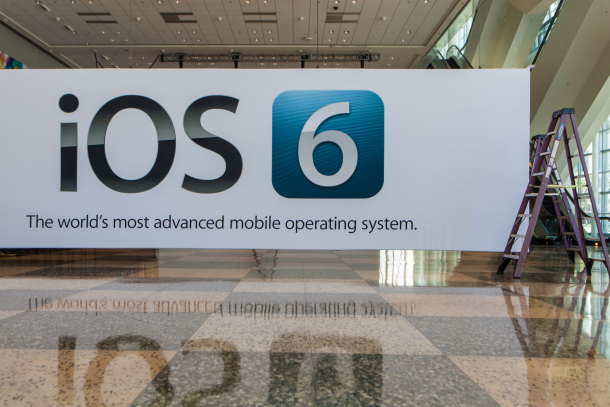 No attempt is made to hide the banners from view this year, and simply tout iOS 6 as “The world’s most advanced mobile operating system” and likewise, OS X “The world’s most advanced desktop operating system”. In addition to iOS 6, OS X, iCloud and AirPlay, Apple are widely rumored to launch a new range of revamped MacBook Pro’s at this year’s event. Running from June 11 – June 15, this year’s WWDC is a sold-out event for registered developers who work within the Apple ecosystem.